A beautiful smile is priceless. However, for those whose teeth aren’t naturally healthy, straight and white, our team at Toronto’s H & M Dental are experienced with cosmetic dentistry procedures and can correct a wide variety of aesthetic issues. “It is gratifying to see patients go from hiding their teeth when they smile, to smiling with confidence. Their joy is our joy.” – Dr. Ben Ghotbi. Dr. Ben enthusiastically accepts challenging cosmetic dental cases. 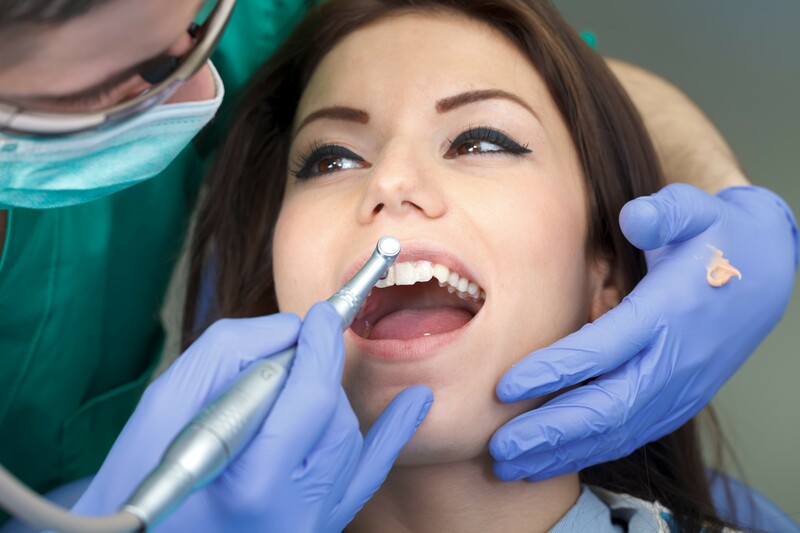 Whether your dental condition seems big or small, our Downtown Toronto team is happy to help you. Veneers – Veneers were developed to give people an instant great smile. They can cover up chips or cracks, they can hide stains or discolorations, and they can make a tooth appear bigger while filling gaps between teeth. A veneer is a thin sheet of ceramic that is bonded to the front side of a tooth making it appear flawless. Dental Bridges – A bridge can be used to replace a missing tooth. A bridge suspends a false tooth in the empty space where a natural tooth was and is held in place by attaching it to the two adjacent teeth. Bonding and Contouring – Dr. Ben Ghotbi utilizes these techniques to re-sculpt a tooth or teeth. • Bonding – When a tooth is chipped, broken or too small, it can be resolved by adding a bonding agent that increases the mass of the tooth. When adding to a tooth to correct minor cosmetic irregularities it is called bonding. • Contouring – Contouring works very similar but instead of adding to a tooth, contouring means some of the tooth is taken away. Dr. Ben can shorten a tooth or change its shape with contouring. Ceramic Crowns – When a tooth has been broken or damaged, it often needs a crown. A crown fits around what is left of the natural tooth and protects it from further damage. A crown is almost always necessary after root canal therapy as the strength of the tooth has been compromised. Our Toronto dentist uses all ceramic crowns which means patients do not have to worry about metal or a grey line to eventually show through the crown. Dental Implants – We place and restore dental implants under one roof at our Downtown Toronto location. If you need to replace a missing tooth or think you need a tooth extracted, contact us about our implant options. Teeth whitening – Whether you would like to whiten at home or in the office, we have an effective tooth whitening solution for you. Dentures – Dentures don’t have to be a problem anymore. Thanks to advancements in dental technology, denture wearers are much more comfortable with their set of oral prosthetics than they were years ago. Dr. Ben also recommends his patients consider dental implant supported dentures if they are missing a full arch of teeth and would like to enjoy a full bite capacity. An additional benefit of implant supported dentures is that they do not cover the palate like most traditional dentures do. Whether you are in need of new partial or full traditional dentures, a denture repair, or are considering dentures over implants, Dr. Ben has at our Toronto dental office has a cosmetic solution for you. Ready to Resolve your Cosmetic Dental Problems? H & M Dental & Associates is conveniently located in Downtown Toronto, just steps away from the Toronto Coach Terminal. We offer free cosmetic dentistry consultations, so don’t delay and call or schedule an appointment online today!